Pearl has been a favorite of people of many cultures. Pearls have been recognized as the emblem of modesty, chastity and purity. They have come to symbolize a happy marriage. Often associated with love and tears, pearls were dedicated to Aphrodite, the Greek goddess of love, and symbolized the tears of Venus, the Roman goddess of love. 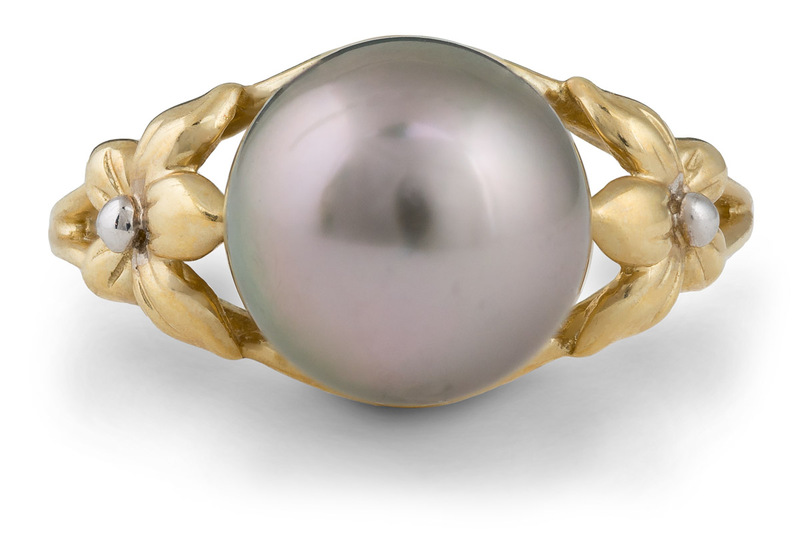 In antiquity, pearls were said to prevent newlywed women from shedding any tears. Muslims cherished the pearls because they were believed to represent Adam and Eve’s tears, repenting of their sins and resembling the tears cried by those in pain. Pearl is the birthstone of June and a favorite gem for weddings. Natural pearls are formed when a foreign object enters the shell of a mollusk and irritates the soft mantle tissue within. This irritant can be anything from a minute snail, worm, small shell or sand. This object becomes trapped in a depression in the mantle tissue. This depression deepens until a pouch or sac is formed. The sac separates from the rest of the tissue and nacre-secreting cells within the sac secrete nacre over the irritant. This nacre builds up layer by layer. Cultured salt water pearls are produced most often by the Akoya oyster from the waters surrounding Japan. The cultured pearl forms because someone inserts both a piece of mantle from a oyster and a nucleus (which is most often a mother-of-pearl bead). Then the oyster coats the nucleus with nacre and the cultured pearl is made like the natural one. Freshwater pearls of superior quality also come from Japan; more specifically, Japan’s largest lake, Lake Biwa. Freshwater pearls are also cultivated in China, Scotland and the United states. The process is the same as salt water but with different mollusks. Pearls come in a wide range of colors. They should be relatively free from skin blemishes. The more perfectly round the shape the better. The higher the luster, or “orient”, the more valuable the pearl is. The larger the pearl is, generally the greater the value. Cultured pearls grown primarily in Japan and China. A flaw (scratch or abrasion) on the surface of a gem. The main mineral component of a pearl’s nacre, or outer layer. Mostly calcite and aragonite. Pearls cultivated by artificial insertion of a small bead, often made of mother-of-pearl and mantle tissue, into an oyster. Patented by Kokichi Mikimoto in 1916. A pearl produced by a fresh water mollusk. A combination of the pearl’s exterior shine and glow from within. Created by light reflected from tiny crystals in the nacre. Cultured pearls grown against an oyster’s shell rather than in an oyster’s tissue. The result is a semi-spherical pearl with a relatively flat back. Soft tissue located inside an oyster. Man-made pearls are formed when the mantle surrounds a surgically inserted nucleus. Pronounced nay-ker. The crystalline substance secreted by an oyster to form a pearl. 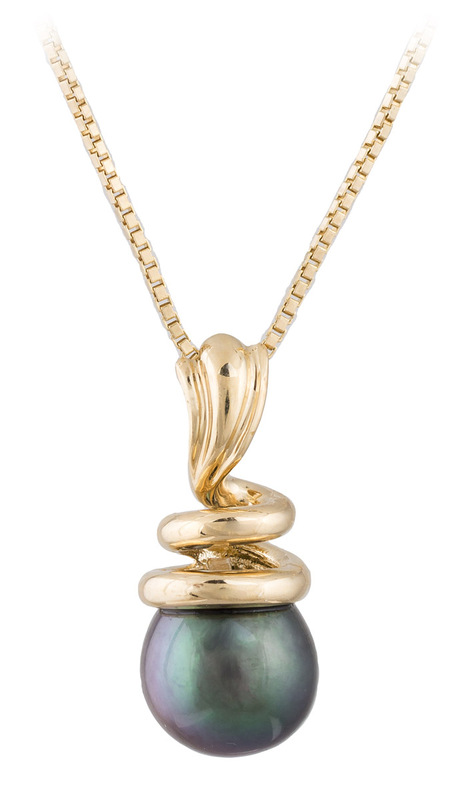 The microscopic crystals of nacre refract light to produce a pearl’s color and luster. The object which is artificially inserted into a pearl’s mollusk during the cultivation process. This becomes the center of a finished pearl. The rainbow effect that seems to encircle a pearl’s surface. Large pearls created by tropical oysters. Grown in Australia, Myanmar, Indonesia and the Philippines. A pearl with balance of form. Equal or corresponding characteristics on opposite sides.